Houston Rockets @ Boston Celtics NBA Game on WBBZ-TV Sunday 3p.m. Chris Musial, Vice President and General Manager of WBBZ-TV says it is “Game ON” with the telecast of the “NBA Sunday Showcase on ABC presented by Mountain Dew Ice” airing LIVE Sunday March 3rd with the Houston Rockets and the Boston Celtics on Your Hometown MeTV Station. The “NBA Countdown presented by Straight Talk Wireless” kicks off the afternoon action at 3p.m., followed by the game at 3:30p.m. 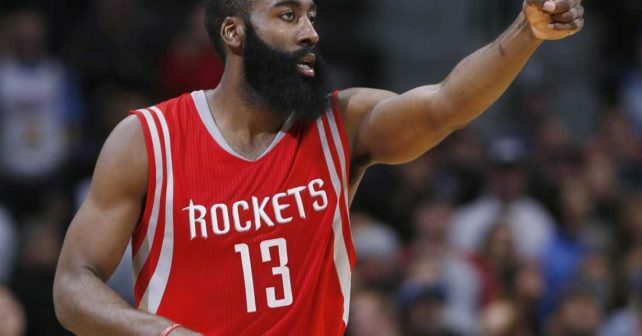 Watch as Rockets star guard James Harden, who many believe could be the Most Valuable Player of the year, takes to the court. The Boston Celtics meanwhile are looking to move forward after a recent string of losses. Houston Rockets @ Boston Celtics 3:30p.m. WBBZ is seen throughout Western New York over-the-air on digital channel 67.1. Ch. 5 on Verizon FiOS (HD 505); Ch. 5 Dish; Ch. 67 DirecTV, and these Time Warner Cable channels: Buffalo – Niagara Falls Metro area: Channel 5 (HD 1230); Batavia – Genesee, Wyoming, Orleans Counties Channel 71 (HD 1230); Parts of Erie and Niagara Counties Channel 71 (HD 1230); Dunkirk Channel 5 (HD 1230); Olean Channel 5 (HD 1230); Fredonia – Jamestown Channel 72 (HD 1230); Alfred- Angelica- Avoca- Bath- Bolivar Friendship- Hornell Channel 71 (HD 1230). "Buzz Bucks" Deal for Theodore's Red Hots! $20 coupon for just $10!